This updated textbook provides a balanced, seamless treatment of both classic, analytic methods and contemporary, computer-based techniques for conceptualizing and designing a structure. New to the second edition are treatments of geometrically nonlinear analysis and limit analysis based on nonlinear inelastic analysis. Illustrative examples of nonlinear behavior generated with advanced software are included. The book fosters an intuitive understanding of structural behavior based on problem solving experience for students of civil engineering and architecture who have been exposed to the basic concepts of engineering mechanics and mechanics of materials. Distinct from other undergraduate textbooks, the authors of Fundamentals of Structural Engineering, 2/e embrace the notion that engineers reason about behavior using simple models and intuition they acquire through problem solving. The perspective adopted in this text therefore develops this type of intuition by presenting extensive, realistic problems and case studies together with computer simulation, allowing for rapid exploration of how a structure responds to changes in geometry and physical parameters. 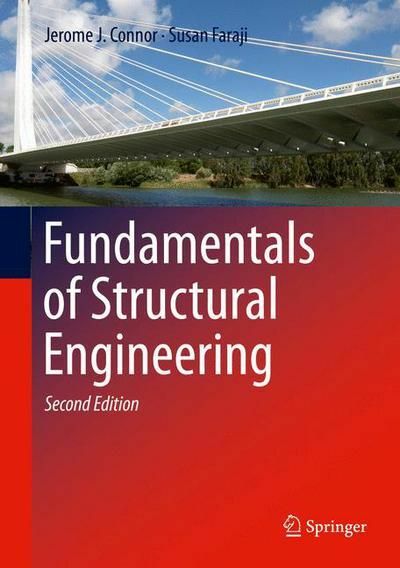 The integrated approach employed in Fundamentals of Structural Engineering, 2/e make it an ideal instructional resource for students and a comprehensive, authoritative reference for practitioners of civil and structural engineering.